Archaeologists have discovered the remains of an opulent imperial-era residence on the banks of the Tiber near the Milvian Bridge. 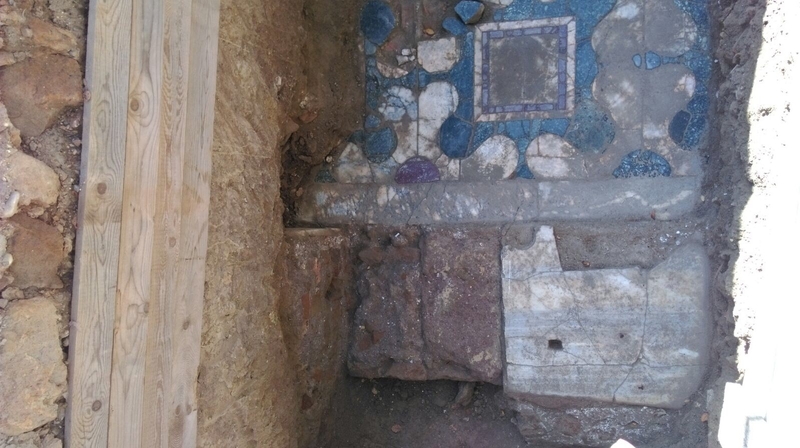 The site was found last November during a preventative archaeology survey in advance of utility works, but excavations were suspended and trenches filled in out of concern that the seasonal rise of the water level in the Tiber would damage the ancient remains. Excavations have started again in the spring. Only a fraction of the structure has been unearthed and the team still sin’t certain whether it was a villa or smaller private dwelling. 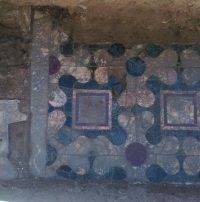 The part that has been exposed is contains mosaic floors in the luxurious opus sectile, a mosaic style which used polychrome marbles instead of the small, even tesserae tiles, arranged in a variety of floral, geometric and figural shapes. The floors in this building feature floral motifs, at least the ones revealed so far. They are of exceptional quality, the colors of the marbles vivid and diverse. The homeowner must have spared no expense. It is incongruous, however, that such a high-end edifice decorated in precious materials would have been built so close to the bank of the Tiber. This entry was posted on Sunday, June 10th, 2018 at 10:28 PM	and is filed under Ancient, Roma, Caput Mundi. You can follow any responses to this entry through the RSS 2.0 feed. You can skip to the end and leave a response. Pinging is currently not allowed. It is rather an odd place, or perhaps it only seems so from our understanding. I cannot imagine how much work went into the precision cutting of so many pieces! The Antikithera Mechanism is a gear-driven complex model similar to an analog computer and dates from about the same time in antiquity. What is suppose that similar machines were used to cut the marble in such identical and precise patterns? So intriguing. Thank you for this post. You are appreciated. any more precise information on dating available? the Imperial period is pretty long, at least I’ve always thought that…starts with Augustus…ends, I don’t know 3rd or 4th century? 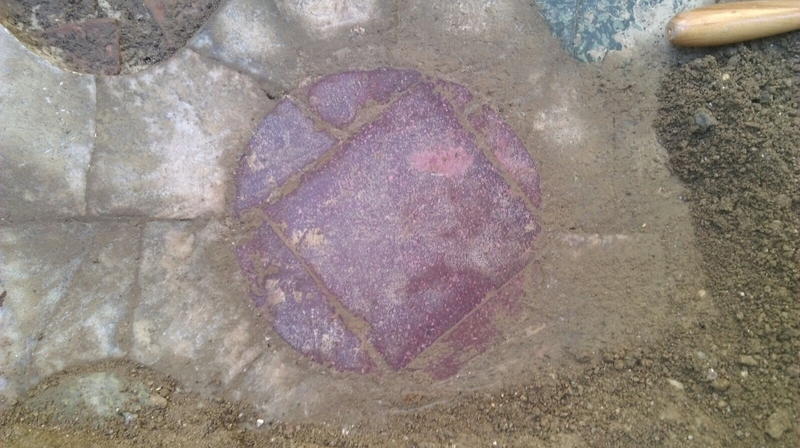 Good point – How do we know that this ‘pietre dure’ or ‘opus sectile’ is imperial, or a ‘villa’ at all? Could this ‘structure’ have been a temple or maybe even an early church -or- let’s say, e.g. an industrial estate with ‘pietre dure’ from a former villa elsewhere? Here impressions from a small but rather ‘opulent’ church that I visited a couple of years ago: here, here and here, built between 1572 and 1577. The location seems indeed rather odd. But to visit a church before leaving for a business trip to northern Europe would make sense to me. What about ‘swimming baths’ or a ‘sauna’ so close to the river?